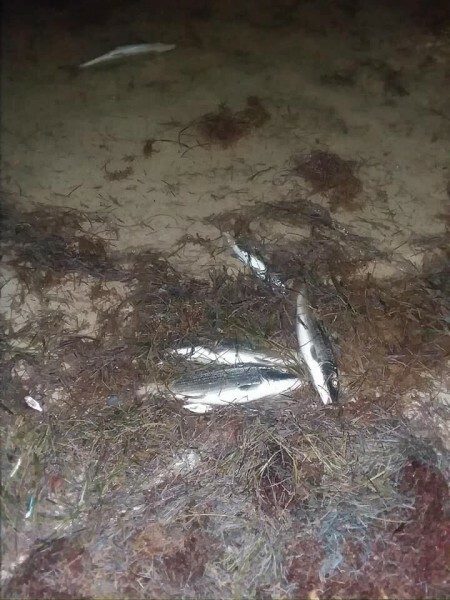 An alarming number of fish were observed gasping for air and dying along the Boca del Rio beach north of San Pedro Town on the evening of May 7th. Several videos of the fish washing ashore went viral on social media as residents rushed to the beach to witness the rare occurrence. 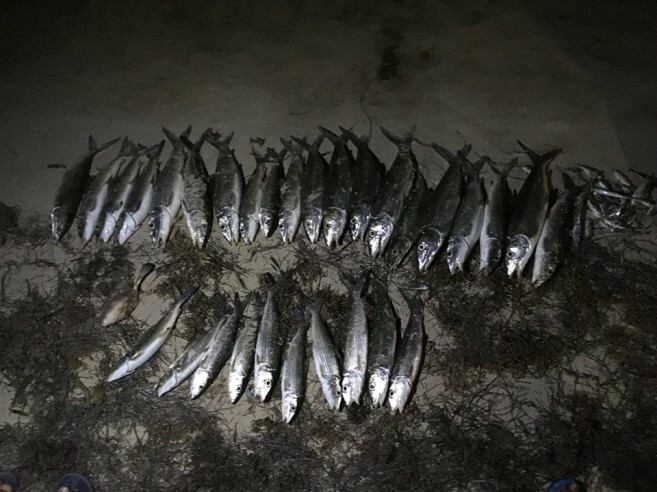 Among the casualties were puffer fish, sardines, needle nose fish, permit and large bonefish. Many marine environmentalists on the island are concerned about the situation, and knowing the possible cause of the incident, have weighed in on what can be done in order to prevent another similar occurrence. The unexpected incident has been attributed to the continuous influx of Sargassum seaweed, which is not only affecting Ambergris Caye but the entire country and the Caribbean region. For months, thick mats of Sargassum have been accumulating on the eastern shore of the island, decomposing, settling on the seabed and releasing toxins that are hazardous to the surrounding marine ecosystems. Marine Biologist and Manager at the Hol Chan Marine Reserve, Miguel Alamilla said that even though the influx of Sargassum has slowed down, the seabed along the stretch of beach in the Boca del Rio area is full of the decomposing seaweed, giving way to eutrophication and eventually causing the death of fish. “One of the things that we can do as a community is to try to remove the Sargassum as it touches the shore,” said Alamilla. “If we can get rid of it before it starts to decompose, that can reduce the chances of another similar incident.” Alamilla pointed out that because this happened in town, it startled a lot of people. However, he doesn’t think that this issue can be narrowed down to the Boca del Rio area, as other marine life might be experiencing the same problem in other remote areas of the island. The sight of dead bonefish caused much concern to the island’s fly fishing guides. 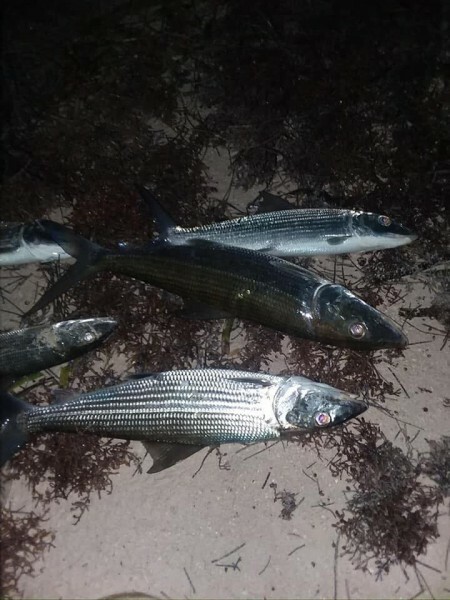 According to well-known local fly fisherman Omar Arceo Sr., one bonefish is worth up to $800 a day, and many people from around the world come to Belize because of these protected game fish. He, along with other concerned guides, believes that if the community does not come together to tackle this problem, this industry might be one of the many tourism products that could disappear from the island. MarAlliance, a non-governmental, non-profit organization based on the island also believes in joint community effort to resolve this problem. Executive Director Dr. Rachel Graham says that if the incident is attributed to the excess of Sargassum, then its quick removal from our shores can be a solution. She added that the collection of the seaweed as it lands ashore can been done in a way that is not detrimental to the beaches. Raking the Sargassum up by hand, placing it in barrels and then moving it into trucks, is the best solution. “There is no easy fix, but the community does need to come together and pick it up off the beaches as quickly as possible and then look at how it can be taken by barge to the mainland,” said Graham. She believes that after the seaweed is collected, the Sargassum could be used as an agriculture fertilizer after being properly processed. Another option Graham indicated was getting children involved in looking through the fresh seaweed to identify the different species of marine wildlife that inhabits the Sargassum. She believes that in this way this difficult situation can be turned into a positive by educating the youth. The added bonus would not only be attractive beaches, but clean nesting grounds for sea turtles. The Gulf and Caribbean Fisheries Institute (GCFI) reports that massive stranding of Sargassum has occurred along many coastlines across the Caribbean since 2011. In response to this issue, the GCFI developed a poster detailing how to best respond to the influx of Sargassum. The information from this organization suggests that communication is key to determining - as a community - which beach areas should be cleaned up. The GCFI also recommends manual raking when the quantities are small and is a good opportunity to involve the entire community in a beach clean-up. When the accumulation is large, machinery is recommended to remove upper layers only, without touching the sand in order to avoid damaging the beach. However, GCFI urges the removal of Sargassum as soon as possible after its arrival to avoid vast accumulation. The organization added that besides the possibility of using the seaweed as agriculture fertilizer, new uses are being developed, like bio-stimulants and bio-fuels. The San Pedro Town Council is yet to comment on the issue, but its sanitation personnel has been observed working hard to clean up the beach on a daily basis. However, the job seems to be overwhelming as the influx of Sargassum continues to increase. In the meantime, the Belize Fisheries Department has taken the dead fish to run tests. The result of the tests will reveal if there is something else affecting the fish besides the Sargassum.